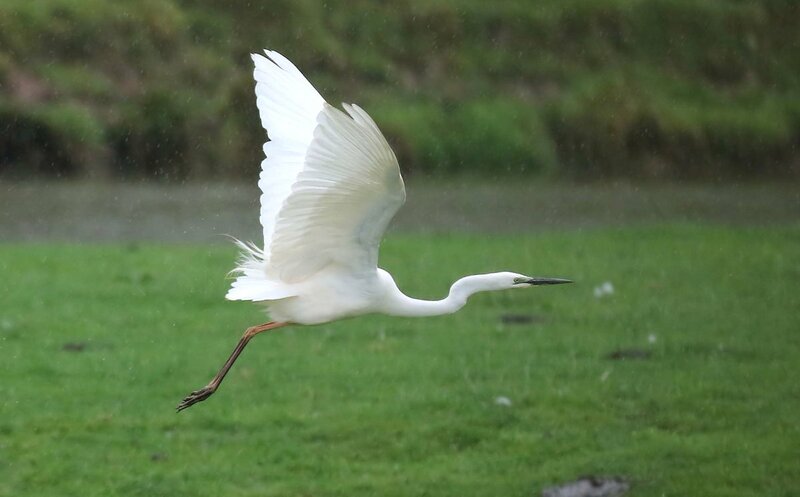 The surprise of the day was located on Harwood Dale Lake this morning at 10.30 when Chris McNaghten discovered a Great White Egret in breeding plumage. Having spoken to observers of the bird seen yesterday and very early this morning on Flamborough it is reasonable to presume this to be the same individual. Also present on the lake were 4 Mandarin Ducks, 2 Teal and a Common Sandpiper. On Wykeham South Lake this morning there were 6 Common/Arctic Terns on the buoys but soon departed to the east, 3 Egyptian Geese and 4 Swifts.